The 70th annual Emmy Awards, broadcasting live on NBC, will see Hollywood stars celebrate the best of TV — but the event is also expected to be dominated by politics. Executive produced by comedy great Lorne Michaels and hosted by Saturday Night Live stars Colin Jost and Michael Che, the glitzy awards show kicks off from Microsoft Theater in Los Angeles, CA. 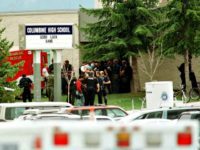 Last year’s show was hosted by late-night funny man Stephen Colbert, who wasted no time in attacking President Trump in his opening monologue. This year’s show will air with the backdrop of a highly-political TV landscape full of shows that invoke issues around race, feminist dystopian futures, and immigration. This is the Breitbart Emmys live wire. All times eastern. (Try to) enjoy the show. 11:01 – That’s a wrap. HBO’s Game of Thrones and Amazon’s The Marvelous Mrs. Maisel were the night’s big winners, taking home Outstanding Drama Series and Outstanding Comedy Series, respectively. There were also some notable snubs tonight for some acclaimed series, including NBC’s This Is Us and FX’s Atlanta. 10:58 – HBO’s Game of Thrones wins Outstanding Drama Series. 10:50 – Amazon’s The Marvelous Mrs. Maisel wins Outstanding Comedy Series. 10:42 – FX’s Assassination of Gianni Versace wins Outstanding Limited Series. 10:39 – HBO’s talk show Last Week Tonight with John Oliver wins Outstanding Variety Talk Series. 10:32 – Saturday Night Live wins Outstanding Variety Sketch Series. 10:29 – RuPaul’s Drag Race wins Outstanding Reality-Competition Program. 10:13 – Claire Foy wins Outstanding Lead Actress in a Drama Series for her role in Netflix’s The Crown. 10:10 – Matthew Rhys wins Outstanding Lead Actor in a Drama Series for FX’s The Americans. 10:03 – Netflix’s The Crown wins Outstanding Directing for a Drama Series. 10:00 – FX’s The Americans wins Outstanding Writing for a Drama Series. TBS talk show host Samantha Bee took the stage and took a shot a President Trump. 9:49 – Peter Dinklage wins Outstanding Supporting Actor in a Drama Series for HBO’s Game of Thrones. 9:39 – The 70th Emmy Awards paid tribute the stars and creators who passed away since last year’s ceremony. To audible applause from the audience, the late Sen. John McCain was among those honored during the in Memoriam segment. 9:31 – The winner for Outstanding Directing for a Variety Special goes to Glenn Weiss, who proposed to his girlfriend from the awards stage. 9:28 – John Mulaney: Kid Gorgeous At Radio City wins Outstanding Writing for a Variety Special. 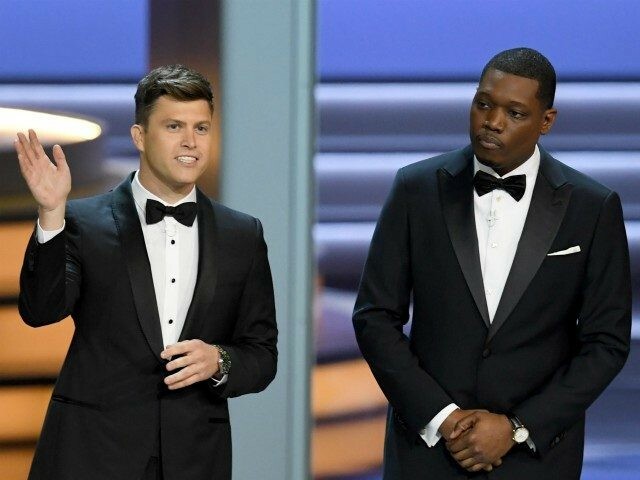 9:24 – Michael Che led a sketch that saw comedian handing black actors from iconic TV show an Emmy award. The “Reparations Emmy” sketch featured Marla Gibbs (227) Kadeem Hardison (A Different World), Jimmy JJ Walker (Good Times) Jaleel White (Family Matters) Tichina Arnold (Martin) John Witherspoon (Friday). 9:17 – Darren Criss wins Outstanding Lead Actor in a Limited Series or Movie for FX’s Assassination of Gianni Versace. Upset alert, the acclaimed Netflix drama Seconds Seconds, saw it’s outstanding lead Regina King take home the award. She beat out front-runners Jessica Biel (The Sinner), Laura Dern (The Tale), and Sarah Paulson (American Horror Story: Cult). 9:10 – Outstanding Directing for a Limited Series, Movie or Dramatic Special goes to Ryan Murphy for Assassination of Gianni Versace. 9:03 – The awards show took a moment to honor veteran actor Betty White, who took the opportunity to imbue her timeless charm and wit. One hour down, only two …. more…. to …. go…. 8:58 – Outstanding Writing for a Limited Series, Movie or Dramatic Special goes to Netflix’s Black Mirror. 8:54 – Jeff Daniels wins Outstanding Supporting Actor in a Limited Series or Movie for Netflix’s Godless. That’s the second award for Netflix. The streamers are dominating so far. 8:48 – Merritt Wever wins Outstanding Supporting Actress in a Limited Series or Movie for Netflix’s Godless. 8:41 – Bill Hader wins Outstanding Lead Actor in a Comedy Series for the HBO series Barry. The the second trophy for HBO. 8:37 – Rachel Brosnahan wins Outstanding Lead Actress in a Comedy Series The Marvelous Mrs. Maisel. That’s four in a row for Amazon so far tonight. 8:30 – Amy Sherman-Palladino wins Outstanding Directing for a Comedy Series for The Marvelous Mrs. Maisel. 8:27 – Amy Sherman-Palladino wins Outstanding Directing for a Comedy Series for The Marvelous Mrs. Maisel. 8:24 – Alex Borstein wins Outstanding Supporting Actress in a Comedy Series for the Amazon Studios series The Marvelous Mrs. Maisel. 8:15 – Henry Winkler wins Outstanding Supporting Actor in a Comedy Series for the HBO show Barry. 8:07: Hosts Colin Jost and Michael Che opening monologue. The co-hosts came cracking jokes about NBC’s nominations, award show ratings, and sexual harrassemnt, and race. Cuz the one thing hollywood needs right now is people losing their inhabitions during a work function. “And we all agreed that Nazis were bad,” Colin said. “Roseanne was caneled by herself, but picked up by white nationalist,” Jost joked. 8:00: – Saturday Night Live stars Kate McKinnon and Kenan Thompson mock how Hollywood “solved” its diversity problem. The deadpan skit also feautred “one of every group” dancers and singer John legend. The 70th’s Emmy Awards “Gold” carpet featured a handful of political fashion gestures. Actress and Black-ish star Jennifer Lewis donned a Nike outfit she says she wore to honor the apparel company’s decision to make former NFL quarterback Colin Kaepernick the face of it’s “Just Do It” campaign . Elsewhere, Actress Tatiana Maslany, Orphan Black co-star, wore a Planned Parenthood pin in support of the abortion organization.